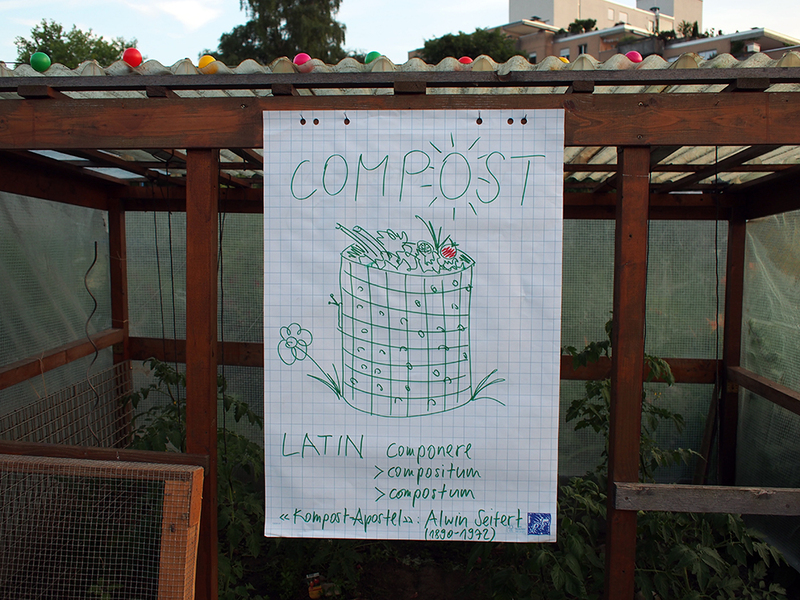 What goes into a compost, and what should not? 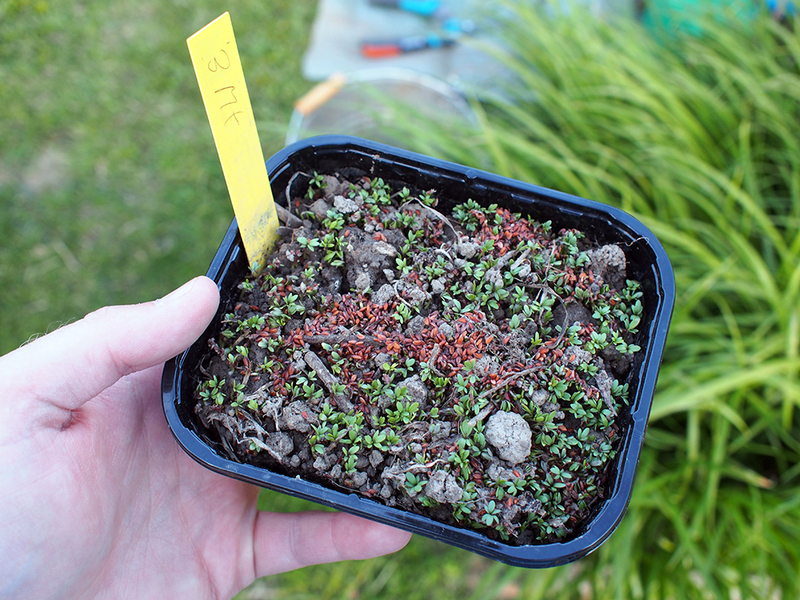 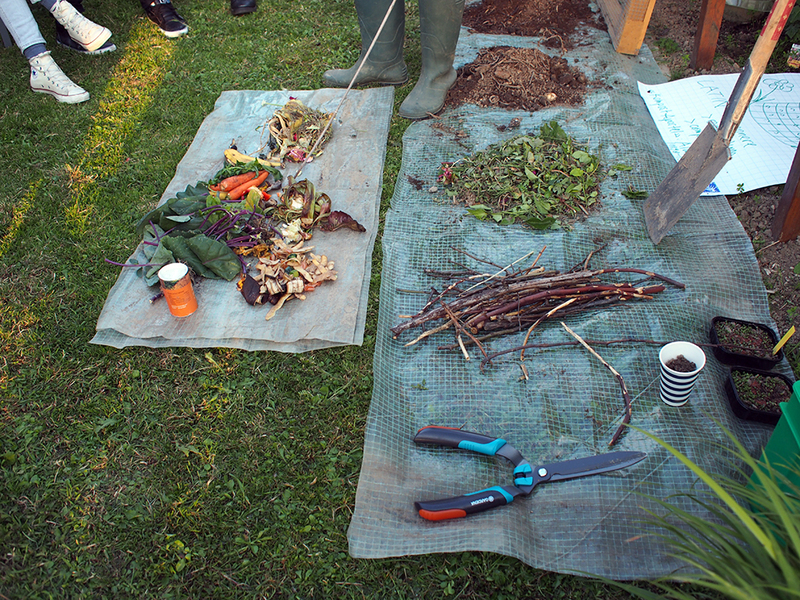 How do you build a compost? 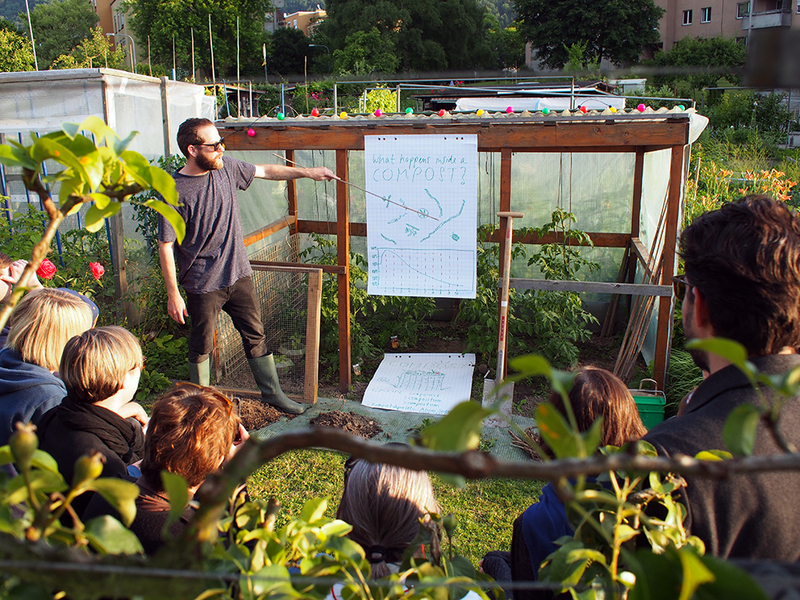 What exactly happens inside it? 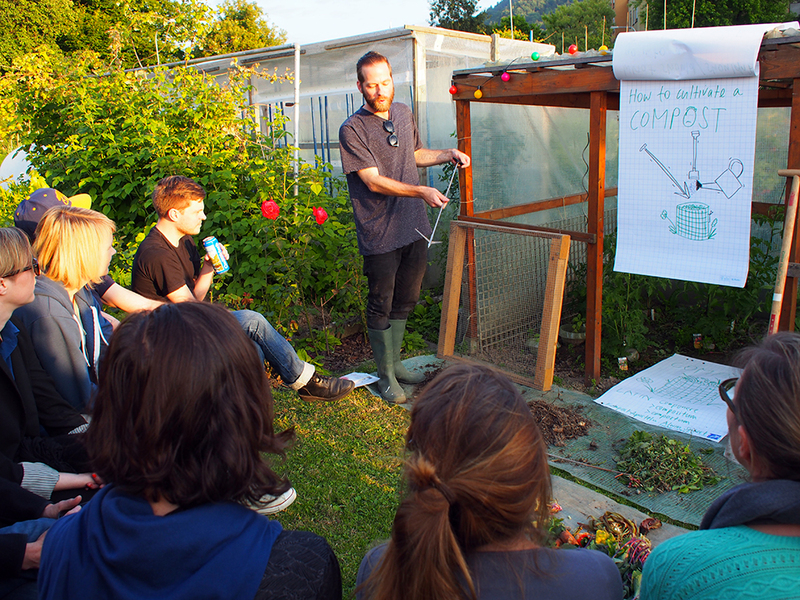 And how many worms should you ideally find in a handful of compost? 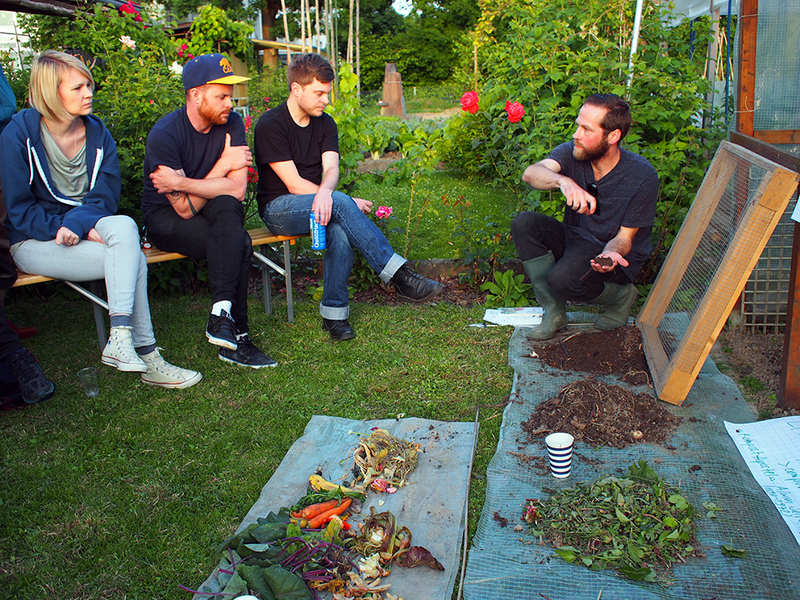 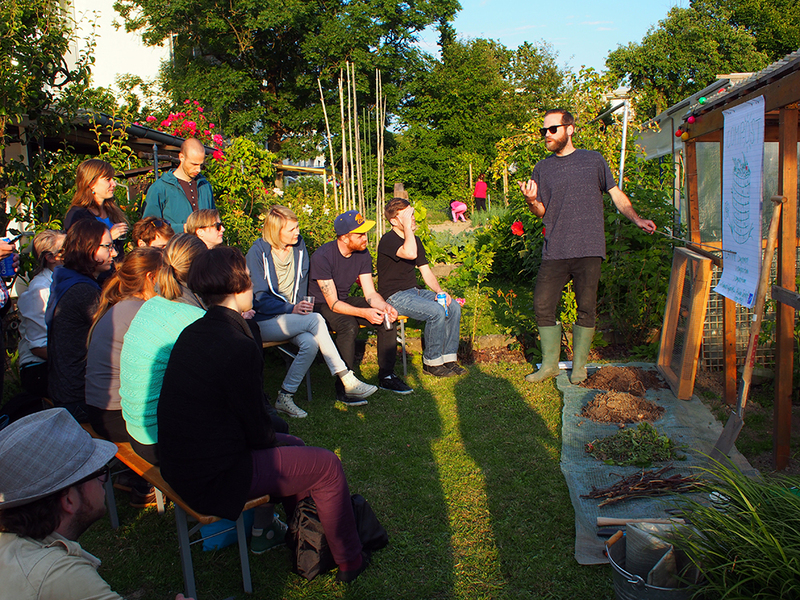 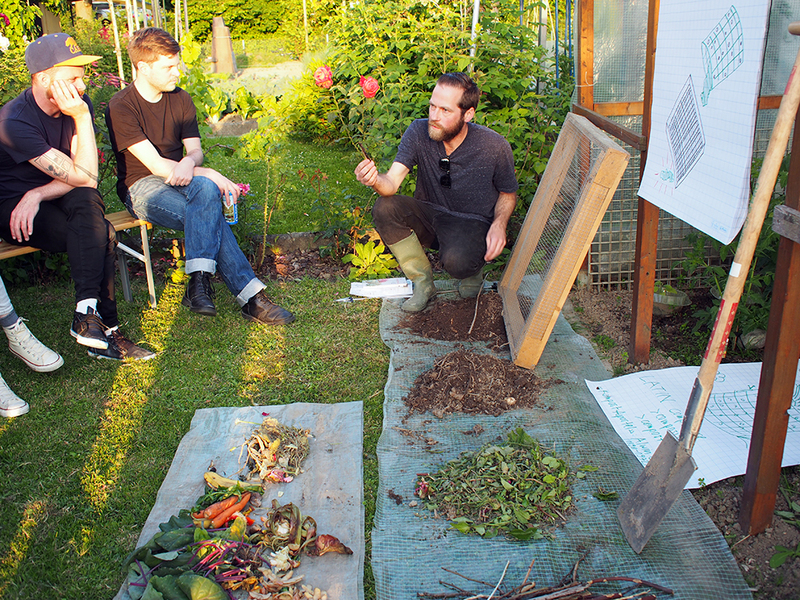 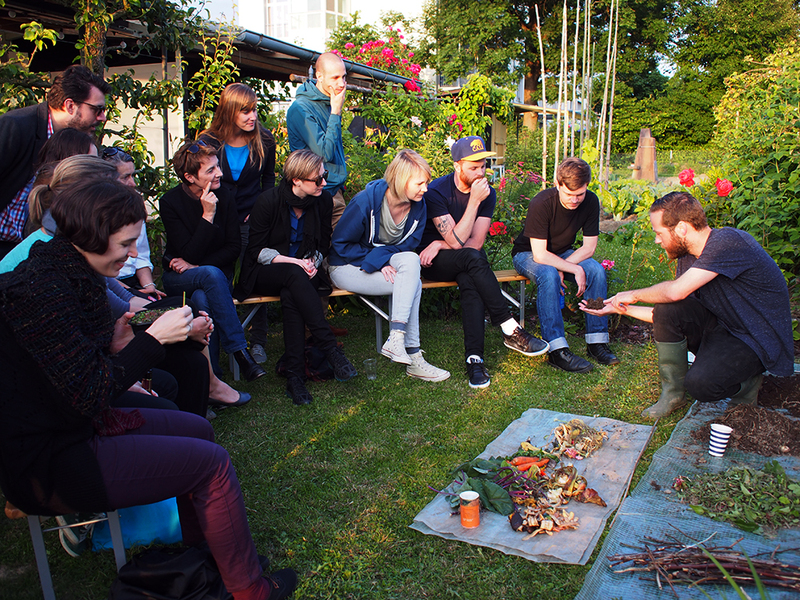 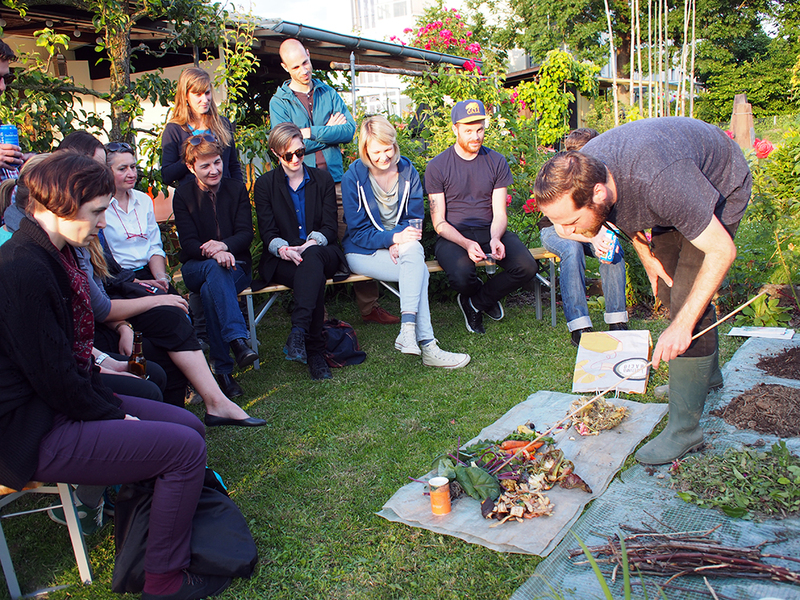 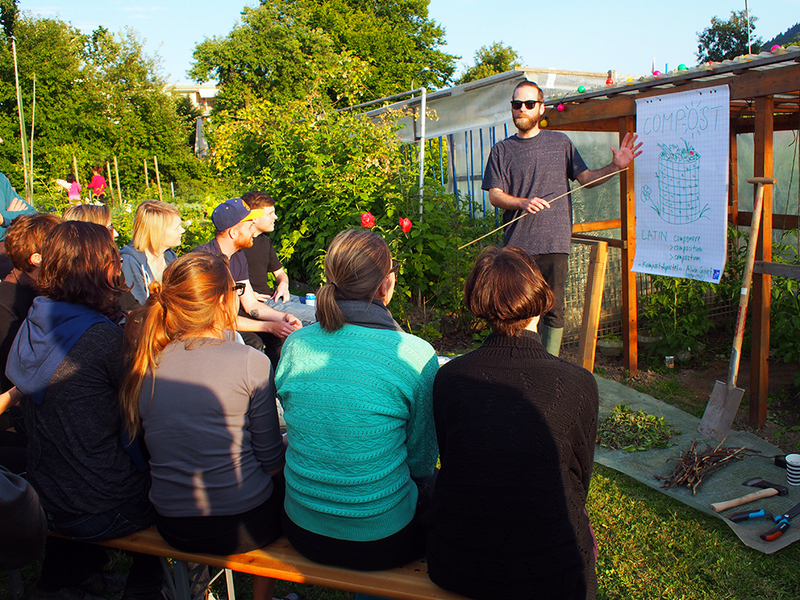 During this Practical Fridays session, which took place in Daniel Morgenthaler’s Schrebergarten, Daniel provided answers to these and other questions on compost, also known as the «gold of every biological garden».